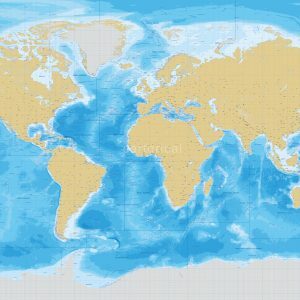 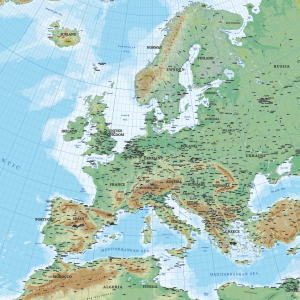 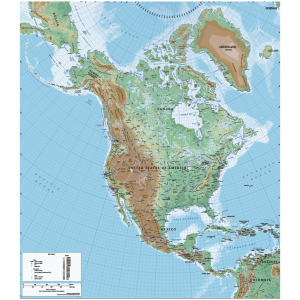 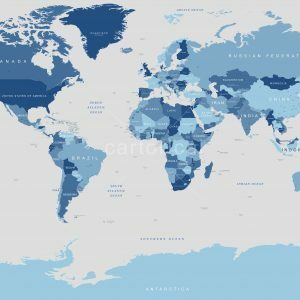 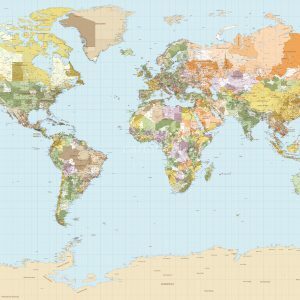 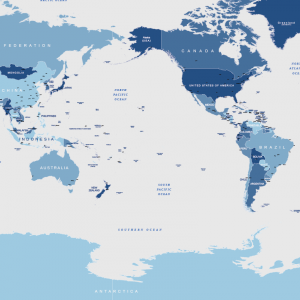 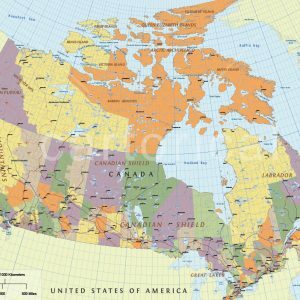 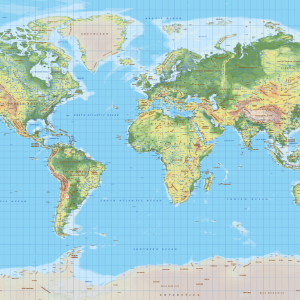 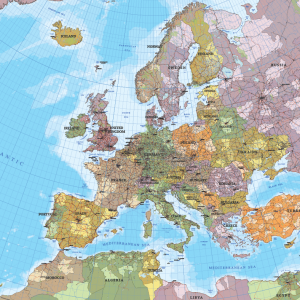 The purpose of any political map is to show the boundaries of states, countries and counties (depending on the scale), as well as major bodies of water and major cities. 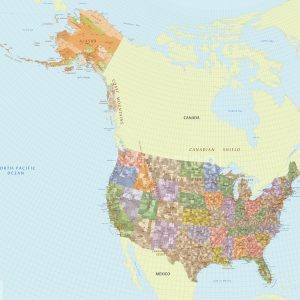 Our political maps show different territories in contrasting colors to make reading easier. 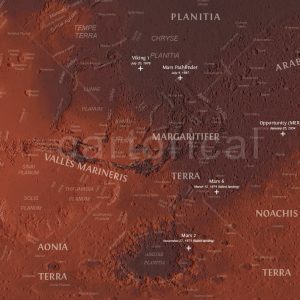 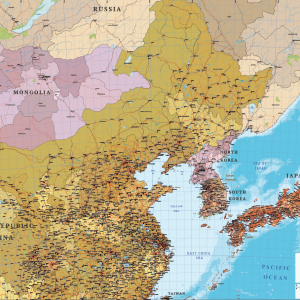 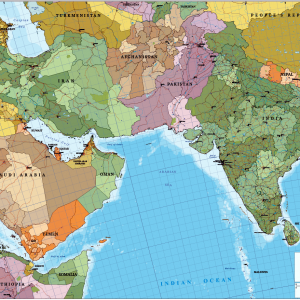 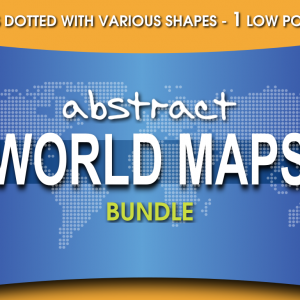 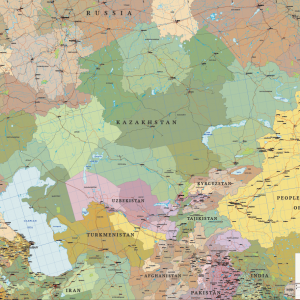 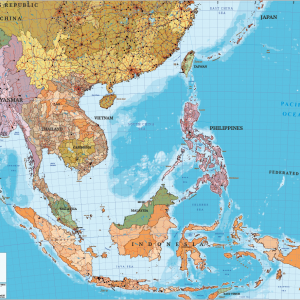 In addition we usually add some geographical features on our political maps (mountain ranges, peaks,…) for the purpose to give geographical reference rather than to show any physical features.